My Odyssey-fellow, Rebecca Roland, tagged me for The Next Big Thing Blog hop. Rebecca's really cool. 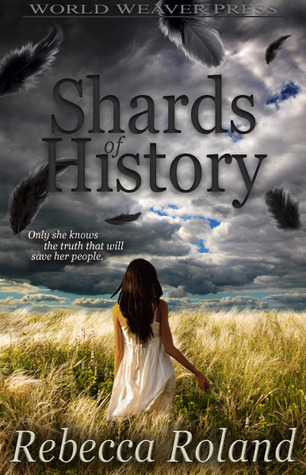 I read her novel, Shards of History, a few years ago at TNEO and thought it was really neat. I'm really excited to see that it's now been released into the world. And with a very pretty cover, too. I've yet to find someone to tag myself (everyone I've tried is currently getting radio silence from their muse) but I did answer the questions. Here, in all of its brilliance, are my answers. If I could just finish the damn thing. It’s a searing story of one writer’s quest to reach the end of the novel, while fighting off lots of other shiny ideas. A nightmare. The entire plot and character played out in front of me. It was awesome. And scary. What genre do you write? What genre does the book fall under? Dark fantasy. I like things that go bump in the night. Oddly, I never wonder about actors. I do like to dream that Guillermo del Toro will one day want to direct my work, though. Love saves the day. It’s just a very bad day. How will your book be released? How long has the editing taken you? A few months. I write faster than I revise. It’s got lots of shiny writing. Really. I highly recommend it. 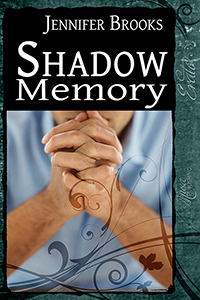 And then, twenty minutes after I blogged, it occurs to me: I should do a contest for Shadow Memory. If you'd like a chance to win a copy of SM, please drop me an e-mail at l_prieto @ att.net. You have until Wednesday morning to enter. The story is quite good. Here's an excerpt. The sound was light. It sounded real to him, carefree and happy, creating the illusion that everything was fine. It wasn’t. It hadn’t been since his stepmother sent the e-mail asking Dean to come over to talk. That sweet, happy sound made something twist inside of Dean. He was there for his father. His ease with faking a smile or laugh made him feel like a sociopath. The ache was worth it. “So how’ve you been?” Dean asked. Ever since Mason had been diagnosed with dementia, Dean had become attached to that question. How was he doing? Was he in pain? Would there come a day when Mason didn’t remember him? Like a database, the answer was at once simple and complex. Physically, Mason could be fine. The dementia could twist things, make him overeat or repeatedly tap his fingers on the table. Mason’s older brother, Franklin, had gone through the same thing five years before. He’d pushed an aid down the stairs. Not to speak ill of the dead…okay, Dean had difficulty speaking well of Franklin; that man could be mean. And that was before the dementia brushed away the facade that society had taught him to wear. When Mason was further along, what would he be like? And would Dean one day be like that? Mason’s brows furrowed over his blue eyes. The color looked faded, quite likely because of the lighting, but the detail struck Dean. Everything was fading about his father. He could do nothing but watch. “I don’t know where we can get Japanese ornaments for the Christmas tree,” Mason said. Dean nodded thoughtfully. This was something he’d worried he’d have trouble with. The conversations felt like a verbal trip across monkey bars. The bars were always moving, making Dean worry that he wouldn’t be able to grab the next bar. So far, he thought he was doing all right. He hoped he’d always be all right. Not for him—he could be awkward—but for his father. Talking like nothing was wrong made Mason happy. “I’ll ask around, see if I can find anyone who’d know where to get some Japanese ornaments,” Dean said. My Nano update is waaay late. I did get close (40k) but the cold fought for my attention. It was my best year, though. I hope I'll do even better the next time I do Nano. Writing-wise, things are in a weird place. Writing is happening but so is life and sometimes life jumps me. In November it was the cold. In December, the holidays. And, the rest of the time, Jen's dad. A year ago, we learned Jen's father, Robert, had dementia. He's been getting worse over the last few months. When Jen and I visit him, we watch Scoobie Doo cartoons together. Sometimes he's chatty and tries to talk to Jen about car safety. Another time he tried to teach me how to ski. Other times he naps while Scoobie solves various mysteries. After each visit, Jen and I go for a drive and discuss how it went. We're glad we saw him, though it's always painful. The situation is scary and sad and, despite everything, sweet, because he's always happy to see us and he tells Jen he loves her, even though he no longer remembers her name. A few months ago, after one visit, I came home and wrote a short story about the situation. That story, Shadow Memory is coming out today. I went back and forth on whether to mention either the story or Robert. In the end I decided to mention SM because sometimes the situation is so scary, Jen can't put it into words. After she read the story, she said it helped her get what she wanted out. Maybe there are others who feel the same. Maybe it's just us and the story is just a story. Either way, SM's out now. It's about a guy dealing with his father's dementia. Unlike most of my work, there's nothing paranormal about it, so I'm releasing it under my pseudonym, Jennifer Brooks. I hope you enjoy SM If you don't, it's okay. Just hug someone you love. Still a few days behind schedule but there's still time. I hope. 20000 / 50000 words. 40% done! I credit the tuna sandwiches and iced lattes we picked up at Le Boulanger this morning. Armed with the brain food, I was able to focus on DD and not worry about silly things like making breakfast/lunch/dinner. Now if I can keep this up throughout the weekend, I won't be struggling to make up my word count next week. I'm still struggling to catch up from last weekend but the writing is going pretty well. 10066 / 50000 words. 20% done! * Don't bother making an elaborate breakfast. You won't want to take that much time away from the computer. Peanut butter and jelly is the breakfast of champions. * If a character has a theme song, play it all day. It's okay. The only one who's around to hear it is Darian and Darian is pretty cool about hearing the same thing for hours. * If you start to get light headed, that means you accidentally skipped lunch again. Don't worry about making anything fancy, just head back to the peanut butter and jelly. * You always fall in love with a few words and use them over and over. You just do. Don't worry about finding them until the novel is done. * Don't bother saying you'll make dinner. You'll forget about it until Jen walks in the door. Jen's been pretty patient but she stopped being that into peanut butter and jelly after the first week. It's time to leave Post-Its around the laptop, reminding yourself to call for a medium-sized pizza. * Make it an extra-large pizza. After a week of peanut butter and jelly, everything sounds better than peanut butter and jelly. At least it was when I began writing. I usually have trouble writing on weekends. It's the time we go shopping, run errands, and go to the occasional movie. Today, though, I managed to squeeze in a few words. 5002 / 50000 words. 10% done! 3524 / 50000 words. 7% done! Around the house, we joke that Nano is cursed for me. Either I get sick, Jen gets her gallbladder taken out, or I get food poisoning. Every year I try, though. One of these days I'll succeed. That year could be this year. And the project I'll be doing it with is Dark Desires, the long awaited sequel (at least in my household) of Dark Designs. / 50000 words. 0% done! * and by on, I mean in December, after Nano is over.